Dragons on this page have already been re-homed. So please don't inquire about them. Dragons that are for sale are on my available pages only. 1. Dakota-3 year old Hypo , Fire and Ice Bloodlines 19.5 inches long and over 600 grams. 2. Females name, Lucy - She's a Crimson Red From Foxfire Dragons. Lucy is a 6 year old Crimson Red female with german Giant genes . She's a Gorgeous Deep Crimson Red with Purple side bars. Her babies are gorgeous Tones of Red, some with the purple side bars that develope at around 3-4 months of age. This line takes around 4 months to start showing that nice Crimson Red Like lucy. Offspring will be solid full boby color as Adults! Sandfire Red, Allen Red,Cawley Red, Jemfire Orange and Red , Crimson Red cross. she is 21 inches , 635 grams. 3. 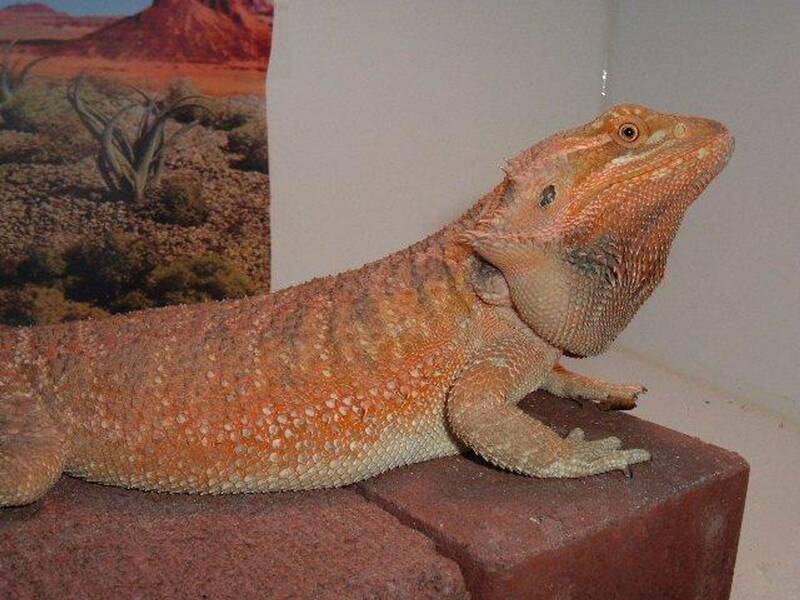 Females Name is Rosie - She has proven out het for Trans and is 66% chance Het for Hypo she was produced here at Rainbow Bearded Dragons out of Lola Another gorgeous kakadu Red Large female. Rosie is 23 inches long and 875 grams HUGE!. 4.Bella is a Hypo Proven het for Translucent from Dachiu Bloodlines.Medium sized dragon around 450-500 grams. 6. Females name is Shorty Shorty was produced here at Rainbow Bearded Dragons out of Mojo x Bella. She is a Hypo proven het. for Translucent 550 grams. I have Trans in every clutch..
1. MoJo - He's a Smooth Leather Back, Het. for Hypo and Trans. This has now been proven out!! Bloodlines- Josh, Phantom Dragons x Steve BloodBank Dragons. 19 inches 525 grams.. Sweet Boy. 2. Jack- From Phantom Bloodbank lines. He's a Hypo Italian Leather back . Sweet, gorgeous boy around 12 months 550 grams. 3. Julius - 16 month old here, 21 inches and 825 grams. Translucent ,100 % het. Hypo Italian Leather Back. Produced here at Rainbow Bearded Dragons out of Bella x Mojo. Phantom x Dachiu Bloodlines.